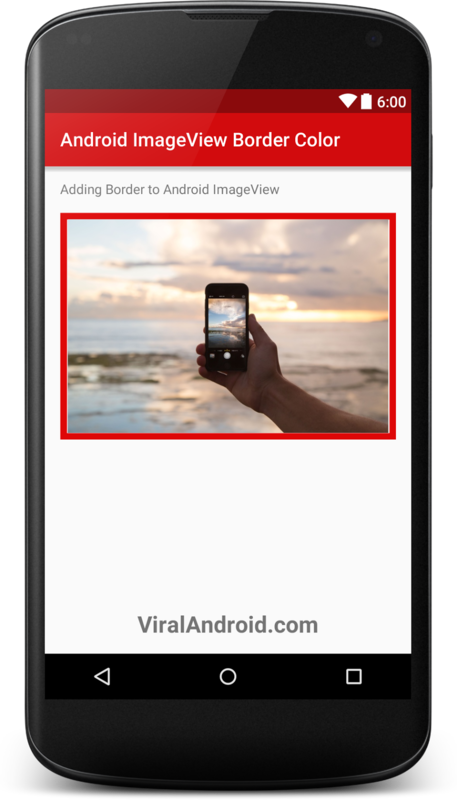 ImageView allow you to display images in android application. By default, android doesn’t allow you to add border color in ImageView, but you can add border color according to your wish by using drawable file. So, in this tutorial I will show how to add border color to android ImageView. Create a new drawable file called image_border.xml in your res/drawable/ directory and add following content. Following is the simple android xml layout with a LinearLayout and an ImageView. Following is the default content of MainActivity.java file.